Long time (now former) Bainbridge Islander Joyce Thompson is an established Pacific Northwest novelist with a range of books to her credit. 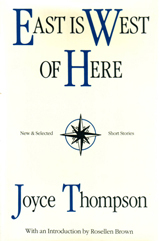 In East is West of Here (1987), a collection of short stories, Thompson focuses on women facing disastrous choices without losing themselves in the process. 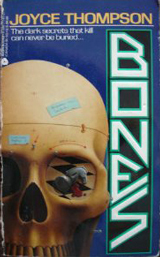 In contrast, her book Bones (1992) is a suspense thriller in which a Seattle madman stalks a divorced mother of two. 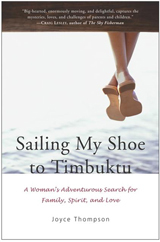 Exploring yet another side, Thompson's memoir Sailing my Shoe to Timbuktu: A Woman's Adventurous Search for Family, Spirit, and Love (2003) is a spiritual exploration of the challenges of middle age and the author's mystical awakening through the Afro-Caribbean religion of Santeria. 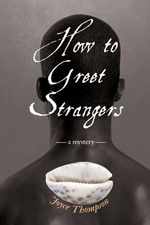 Thompson returned to the genre of mystery/suspense novels with her latest book How to Greet Strangers (2013), a story that takes on the challenging topics of race, gender, faith, family, and crime. For more information go to http://www.archerbarron.com/joyce-thompson/.